This text shows how to implement a risk management system to manage financial and economic risk as well as regulatory capital. 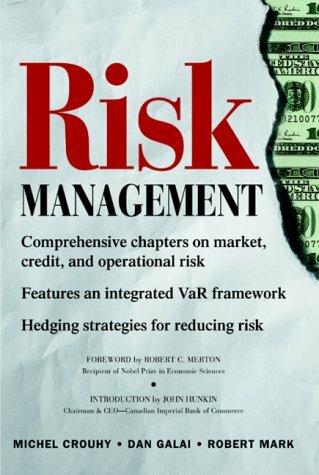 It considers risk management techniques used in the financial world and looks at modern risk management tools. Robert P. Mark (Chicago, IL) is an airline transport retired pilot who flies for a charter company in the Chicago area and the author of The Joy of Flying, now in a second edition, and Becoming a Professional Pilot, both published by McGraw-Hill.